The Windows 8 and higher operating system has an improved compatibility program that checks and troubleshoots programs which do not run properly when installed on these operating systems. This article will guide you on how to overcome program compatibility issue in Windows 8 and higher operating system. You can also click the icon on the Charms bar. Enter “control panel” in the search field then click on the icon in the search results. NOTE: For Windows 10-enabled devices, the Charms bar is only available to smart phones and tablets. Under System and Security, click Find and fix problems. Under Programs, select Run Programs made for previous versions of Windows. Wait until the system completes scanning for issues. 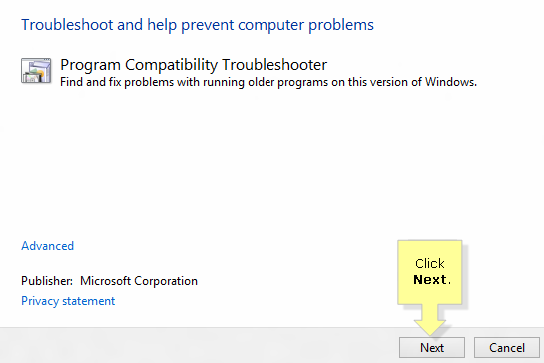 When the results appear under Program Compatibility Troubleshooter, select the program in the list which is having issues and click Next. Click the Browse button to enter the location of your program file and click Next. In the Select troubleshooting option window, select Try recommended settings. Click Test the program... under Test compatibility settings for the program then click Next. 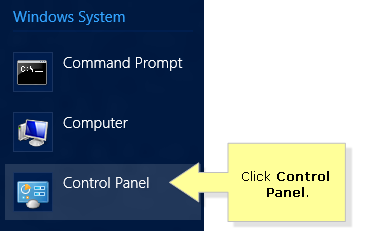 NOTE: When you click on the Test the program… button, Windows will run the program that is not working properly with Windows 8 and higher operating system. Once the troubleshooting has been completed, a prompt asking if the issue is resolved or not will appear. You can then choose among the provided options.